Every month I release a free game art pack on my website. 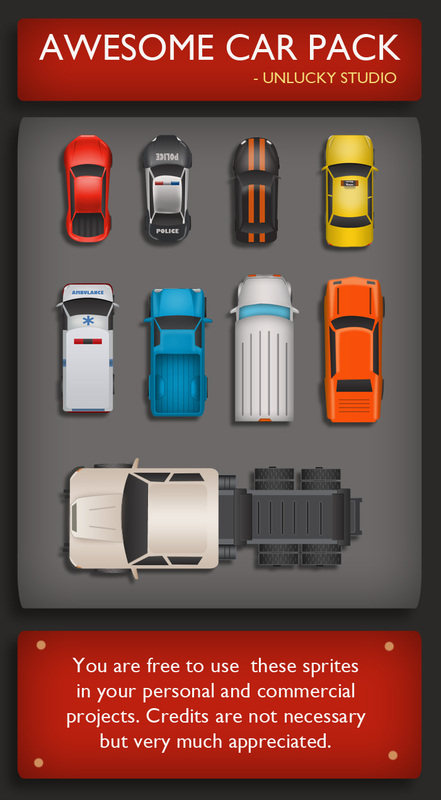 This month I have created a top down vehicles sprites pack for Racing Game lovers. These sprites are in high resolution .png format. Below is a preview of the pack. This sprite pack comes with royalty free license. You can use them in your personal or commercial projects. Credits are not necessary but very much appreciated. So what are you waiting for? Create your dream race game with these free game graphics. If you used them anywhere just drop me a message. I would love to see your work. If you like my work and want to support it then click here. Just starting out i will let you know if i can actually make anything. Thanks Headsickshawn and Zee22, Best of luck for your games. usually when programmers use cars modeled off of real existing vehicles the car company gets royalty. would that be the case with these as they resemble real existing car designs. I would assume if you can look at it and say yea that is a viper then youve pretty much copied an IP. Here Viper is not a real car. I just name it for fun. Thanks a lot Allen. I am glad, i helped you in some way. When you finish it send a link. I would love to play it. :) Best of Luck.. Thank you for the great little cars. 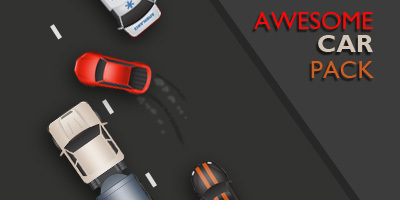 Search for RufasSlider on SourceForge to see them in my version of Traffic-Rush. Sorry for reply late. But very happy to see them in a working game. Best of Luck for your game bro. Hi! I'm using your pack on a HTML5 browser game (just a prototype here)! Thank you, looneybits... it's just a first game mechanics prototype, it will be improved on next days! I noticed that I've to click on the [right/left] side of screen to turn left/right, but my instinct was to click over the way(road) instead of left/right side of screen. You can use the arrow keys too, if you are on a computer! 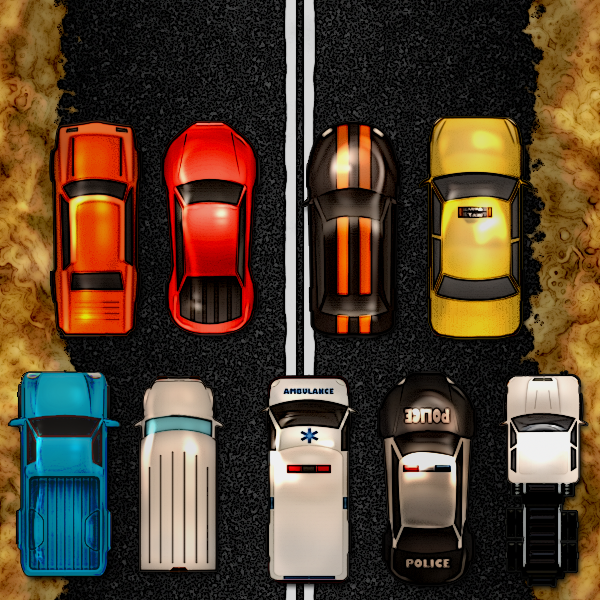 Mate, you seen this - http://graphicriver.net/item/top-down-car-racing-game-tile/11221554 - think some guy jacked your sprites and selling them? 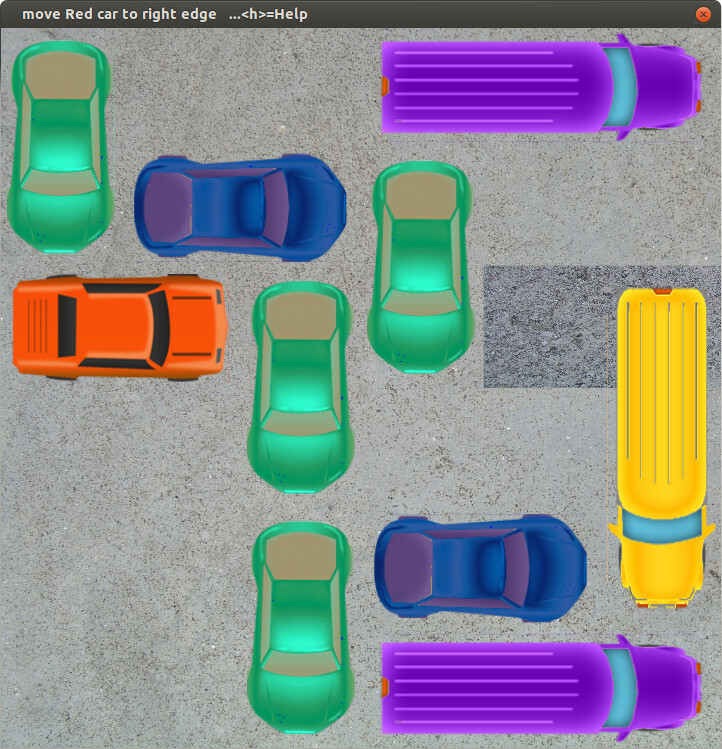 I am using your cars in my new online game, toy cars. Added some filters to get more details on the cars. Some other seventies cars, some bulky 80ties cars, different colours and brands. Really great work, appreciate it. Will use the Taxi for my AI-testlab grafical output. Hey man, just letting you know that I'll gonna use these for a top-down verions of Spy Hunter. I don't know if you would like my verison by the time it's done. But I'll maybe just implament moving, shooting and a scrolling background. Just wanted to let you know. It may be free to use, but I have to refrence non the less unless I want to be acussed with plegarimus. Thx in advance. hey, nice work, also thank you for letting people use this. Thank you . I will use on my game. Hey, Can I have car images without square blocks? Anyways, thanks for sharing this assets!